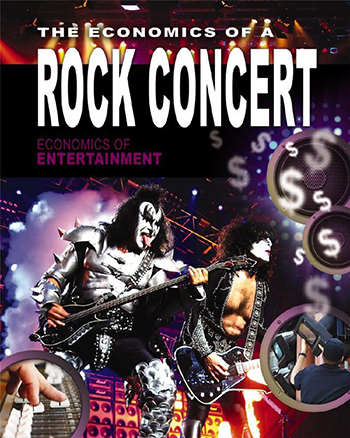 NJSCBWI: Congratulations on the release of your debut book The Economics of A Rock Concert! Can you tell us how this project came about? Sheri Oshins: Well, here’s the thing; you never know from where your next lead to a project will come. The motto to a fully discovered life as a writer or an artist, or as anyone, really, is walking through ALL open doors, no matter how silly it might make you feel. So…. It was at one of our amazing NJ SCBWI June conferences. A fellow writer, Jonathon Sprout brought out his guitar after dinner. Before we all knew it, a singing circle formed. So… I felt tremendously silly but I joined in. As luck would have it, I sat next to Lionel Bender of Bender, Richardson & White—a non-fiction book packager from the UK. He was impressed how I knew all the lyrics to the songs from the 1960s. It began a conversation. From there, I maintained the contact because I was very curious, as a former educator, how to break into the non-fiction market for educational purposes. My lucky break came when the title of The Economics of A Rock Concert came across Lionel’s desk. He remembered that night with me unabashedly singing along and because I kept that contact fresh, he asked me to write the book. Of course, I said, YES! 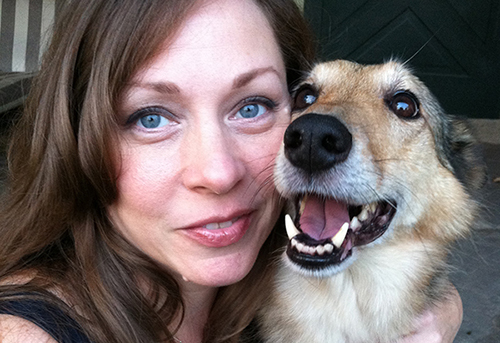 NJSCBWI: As a fiction writer, did you think you'd ever work on a non-fiction book? SO: No! Actually… come closer so I can whisper this in your ear… (I never liked non-fiction. Shhh, don’t tell anyone! I always found non-fiction boring.) But with the new government changes to school’s curriculum of CORE standards, non-fiction has a fresh face. And again, back to my first comment; Walk through every open door. And so I did. NJSCBWI: Was it hard and what did you learn during the process? SO: YES! It was a serious challenge and very hard. In fact, sometimes, I wondered if I’d be able to do it. I had to remind myself to take it all one step at a time. At the onset, I knew nothing about rock concert promotion and my knowledge of economics was rudimentary, at best. I had about three months to learn everything I could on both subjects. I basically lived in the library or in bookstores. I read everything I could get my hands on for both subjects. Then, after reading, I began interviewing people who were in the industry. A friend of mine put me in touch with her friend who does rock concert promotion. My sister did the same. One contact led to another and another and another and before I knew it, I was interviewing people like, Chip Quigley, a very well-known concert promoter of the 1980s. Luckily, I did not fully read his online “resume” until AFTER I interviewed him. Otherwise, I would have been a nervous wreck! The biggest lesson I learned was I could do it! It sounds basic but it was a bit like navigating in the dark, at first. I utilized similar outlining techniques I use in my fiction writing and started to break my time down into manageable chunks. I didn’t think of the whole picture. Instead, I focused on daily goals, whether it was an interview or writing 2 chapters a day. Whatever the goal of the day, THAT—and only THAT—was my focus. It was far less overwhelming that way. And it helped me feel successful at the end of each day when I met the daily goal, rather than thinking of all the rest still to do and feeling defeated. NJSCBWI: Can you tell us about a project you are currently working on? SO: Currently, I should be working on my young adult novel. But life circumstances have led me to establish a second career as a real estate agent. So, right now, I am getting my footing steady in that world and then I will strike a balance on which I can return to my current work in progress—a young adult novel set in a troubled America with an unlikely hero. At times, it feels daunting, juggling two careers and two kids, all while being a single mom, but if I’ve learned anything about writing The Economics of a Rock Concert, I still set manageable daily goals. I don’t get overwhelmed by the big picture—at least I try not to—and… I still walk through every open door. NJSCBWI: You write fantasy and dystopic-style fiction, correct? SO: Yes. The darker the story, the more impossible the obstacle, the sweeter the resolution is for me. NJSCBWI: Can you tell us something about what inspires you and your ideas for the kinds of novels you write? SO: America. I love America. I love being American. Kids today don’t feel this way. This makes me very sad. I want to remind today’s young readers that our nation is founded on some amazing principals. We began a new world with opportunities and openness for all people, regardless of religion, race or creed, to join us. True, we’ve stumbled as a nation. But everyone stumbles. You fall, you pick yourself up. Isn’t that what we teach our kids? America is still a great nation and something for which to be proud. I want to empower our youth—the next generation to lead—to stand up and be proud. Work hard. Do not squander. Do not whine or complain or think things will be handed to you. Just work hard and you will be rewarded. Now, here’s the trick…. How do you empower young minds to feel this way without being preachy? I try to tell my stories through the eyes of the teen who discovers these things the hard way… the very hard way. Everyone loves routing for an underdog, an unlikely hero. We all see ourselves through their eyes. We want them to win. It’s like making vitamins taste good. Who doesn’t love a Flintstone’s vitamin every now and then? NJSCBWI: You are assistant regional advisor for the New Jersey chapter and have been a member since 2006. How has being a member of the organization helped you on your journey to publication? SO: I cannot imagine another way to make it in this industry without the support and guidance of SCBWI. And it was through becoming involved in whatever way was needed, where I met lifelong friends. I once read if you want to form a habit, surround yourselves with others who are already successfully doing whatever it is you want to achieve. What better way to do that than through surrounding yourself in all matters SCBWI? Question 6: What top pieces of advice would you give to other members based on your personal experiences? Join SCBWI and volunteer. Get involved. Make friends. Learn how to present yourself and your work. Do not poo-poo correct formatting. Learn it. Embrace it. It’s here to make you look your best. Join or form a writer’s group so you can surround yourself with like-minded people NEVER present yourself as more than who you are at the moment. What I mean is, if you are as green as green can be, don’t pretend to be a seasoned writer. It’s okay to be new and just learning. We all began there. I’m still there compared to some. And that’s okay. And last, be proud of your personal journey into publication. Like the stories we write, the stories we live are unique and have the right to be told/lived. So live your story to the fullest!